Bandizip uses the AES-256 encryption which is one of the most secure encryption algorithms when creating the 7z or zipx file format. An archive compressed with Bandizip can be extracted using all kinds of file compression software including WinZip, WinRAR, 7-Zip. 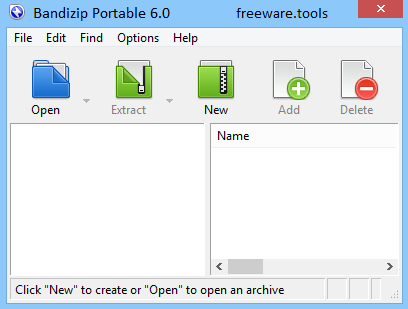 Bandizip allows the users to preview compressed contents with right click menu on the Windows Explore. In addition, Users directly see an image file contained in compressed ZIP, RAR, 7Z, LZH or TAR files without extracting. Another advantage of Bandizip is that it fully supports Unicode to ensure international characters are displayed for filenames in archives.